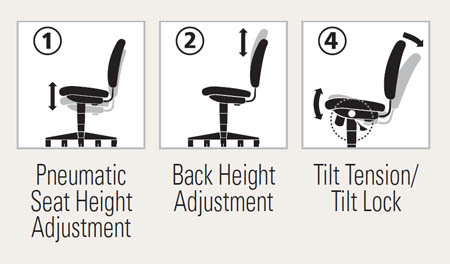 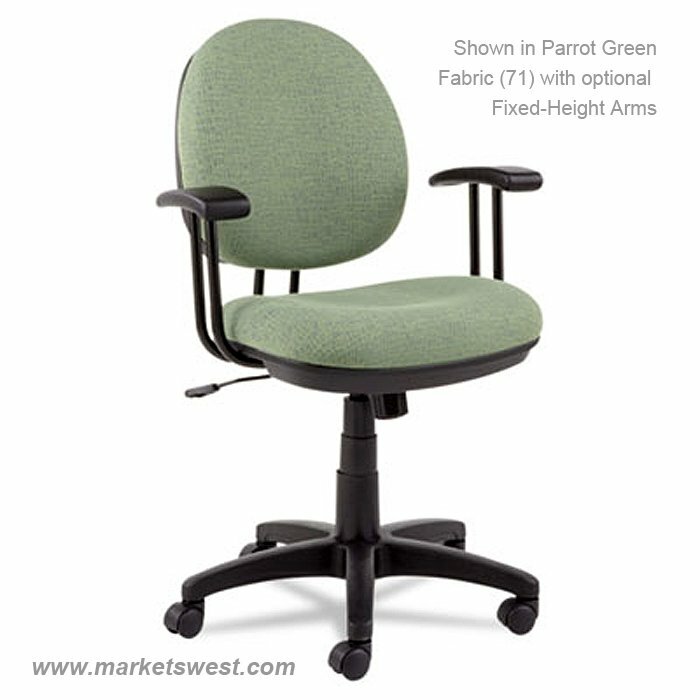 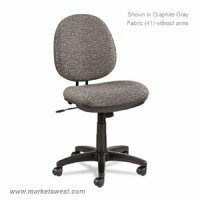 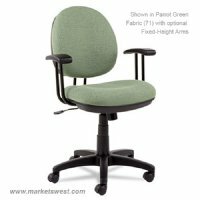 Interval Series Swivel-Tilt Task Chair Product Details Back height adjustability. Waterfall seat edge helps relieve pressure points on the underside of legs. Five-star base with casters for easy mobility. 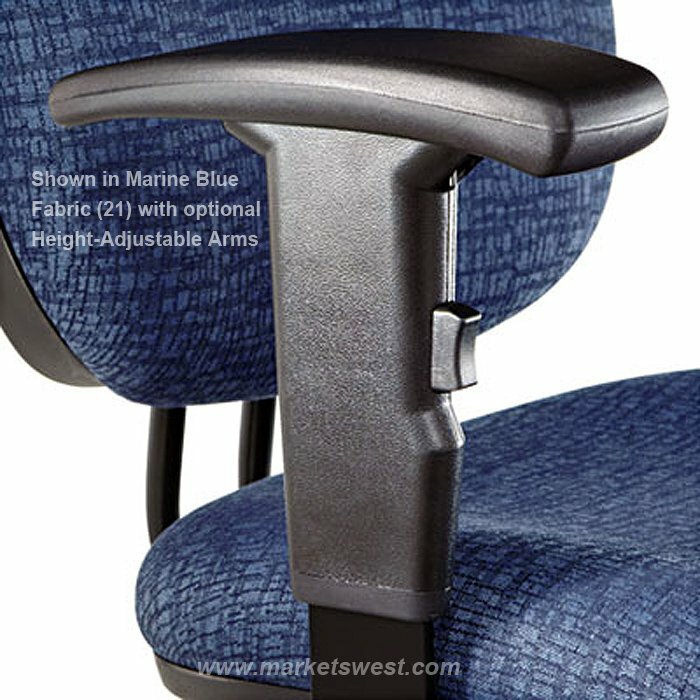 Optional Arms sold separately. 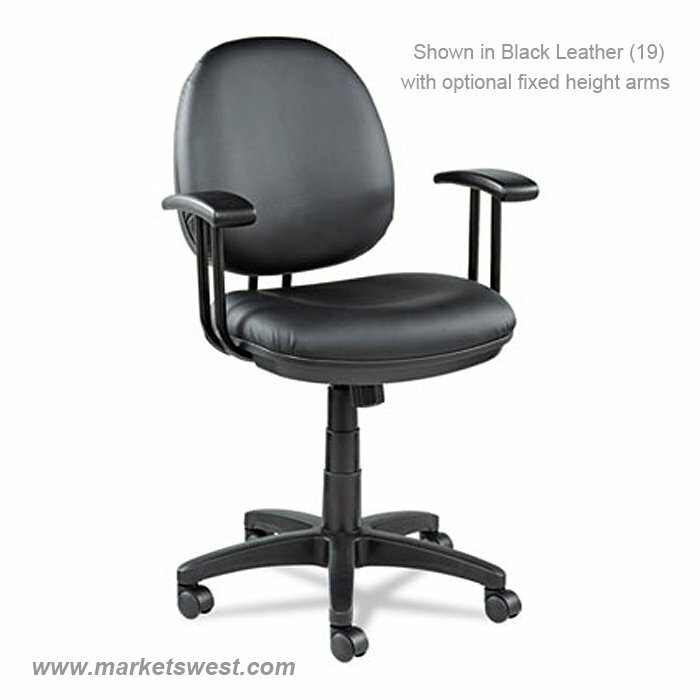 Overall Width Maximum: ....... 19 1/2"
Overall Depth Maximum: ........ 25 3/4"
Overall Height Minimum: ....... 34"
Overall Height Maximum: ....... 39"
Seat Width Maximum: ........... 19 1/4"
Seat Depth Maximum: ........... 17 3/4"
Seat Height Minimum: .......... 18 3/4"
Seat Height Maximum: .......... 23 1/2"
Back Width Maximum: ........... 16 1/8"
Back Height Minimum: ........... 15 1/4"
Back Height Maximum: .......... 16 1/2"
Caster/Glide/Wheel: ............. Five 2" hooded casters. 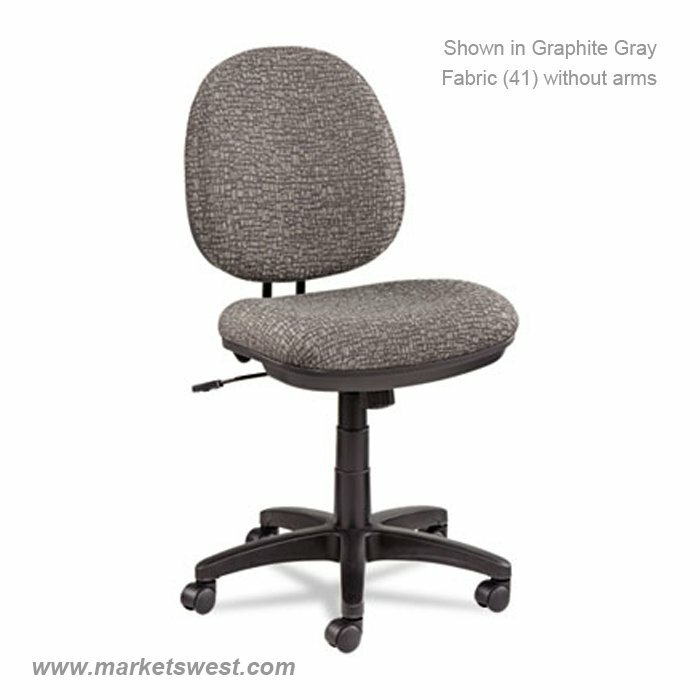 Weight Capacity: .................. Supports up to 250 lbs. 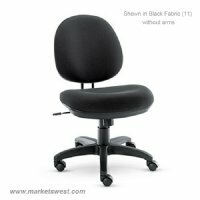 Disclaimer Statement: ........... Casters supplied with this chair are not suitable for all floor types. Optional Arms sold and shipped separately. 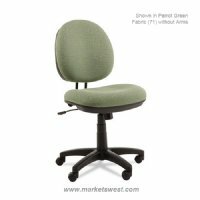 Carton Weight: .................... 30 lbs. 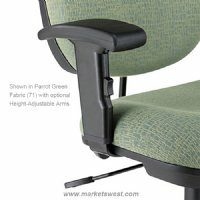 Item Weight: ........................ 30.23 lbs.